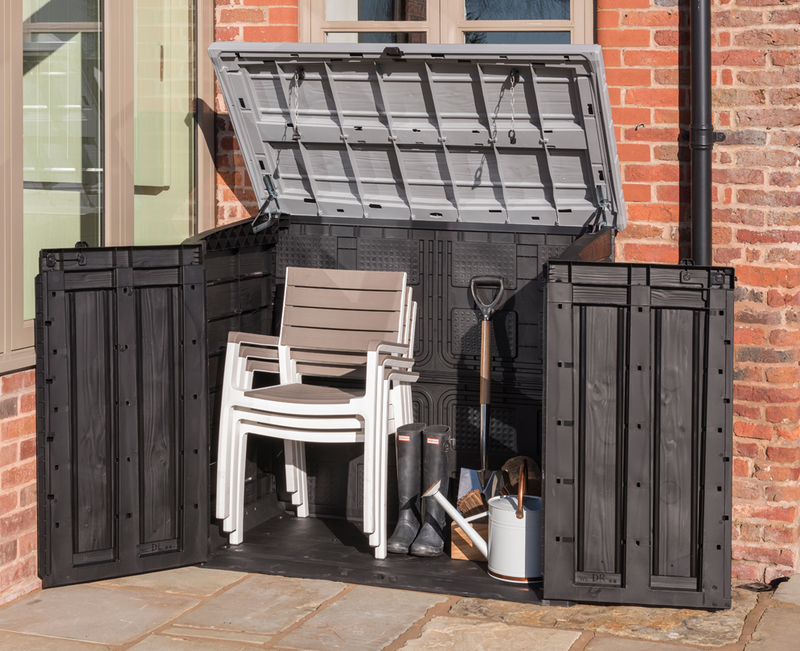 The Hideaway Storage Shed in Grey from Norfolk Leisure is an outdoor storage unit perfect for storing furniture, tools or garden equipment when not in use. Made with resin and fully weather resistant materials. Also includes a hydraulic piston for ease of access when opening or closing the storage shed. Goods delivered to door by parcel courier or haulier. Due to the Company's Health & Safety Policy, we are unable to deliver upstairs (e.g. blocks of flats). In this instance you must make alternative arrangements for delivery (e.g. Garage/shed; behind gate; or with a neighbour). Click the button below to add the Hideaway Storage Shed Grey 150x80xH130cm to your wish list.